Michelle Newberry, CPA, is an Instructor of Accounting in the Brock School of Business, and is the faculty advisor for the accounting honor society, Beta Alpha Psi. She teaches principles of accounting. She earned her Masters of Accountancy and Bachelor of Commerce and Business Administration from the University of Alabama. 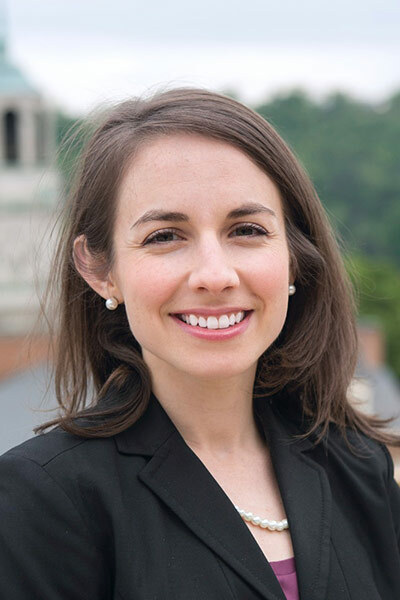 Prior to joining Samford University as an adjunct professor in 2014, she worked as a Senior Financial Analyst for Southern Progress Corporation (TimeInc) and as a Senior Auditor for Ernst & Young. As an alumni of the University of Alabama Gymnastics Team, she serves as the Scholarship Chair of the Medalist Club. Michelle is a member of Red Mountain Church (PCA) and is married to Collin Newberry, who works in the Accounting Policy Department for Protective Life. They live in Downtown Birmingham with their daughter, Stella.